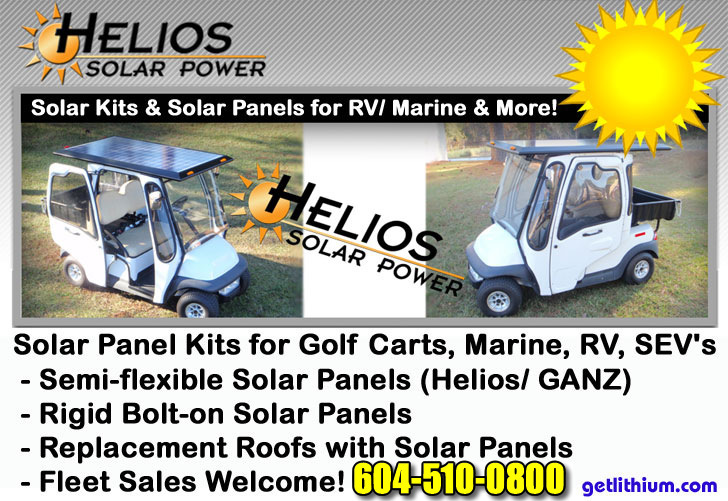 RV/ Marine /Electric Golf Cart Solar Power Solutions Page! 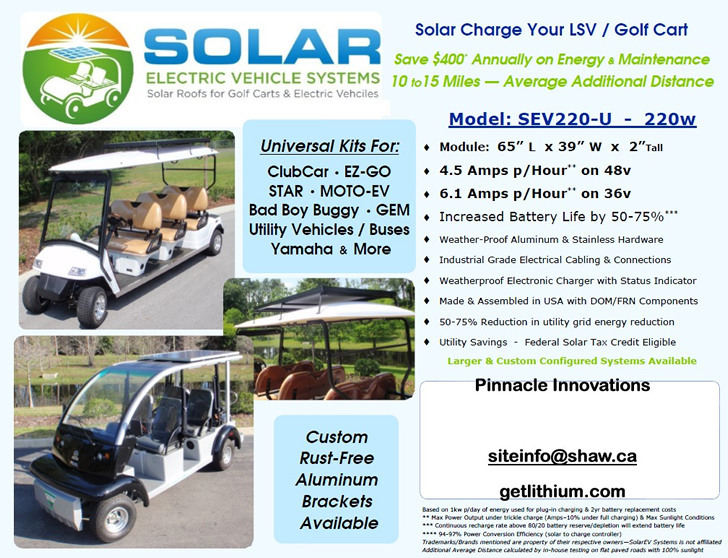 Whether you are looking for an economical way of recharging your Electric Golf Cart, Low Speed Vehicle, Mobile RV, Van Conversion, Yacht/ Sailboat or if you want to extend the range of your Electric Golf Cart, Solar EV Helios Solar Power Systems are a great way to upgrade your Electric Golf Cart, LSV, RV, Yacht or Sailboat. or click on the image to Email Us. 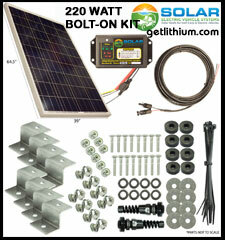 Solar panel wiring extension kits also available in lengths from $36.00 USD. Choose from 6', 15', 20', 25', 30', 35', 40', 45' and 50'. 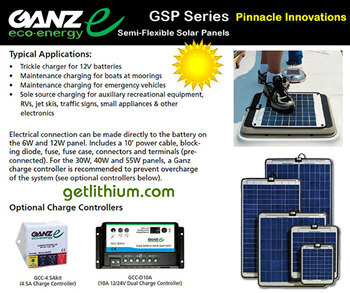 GANZ Eco-Energy's fully weatherproof solar modules are designed to provide clean, quiet and reliable power for rugged marine and other outdoor applications. An unbreakable plastic film surface with semi-flexible aluminum backing make these panels ideal for mounting on flat or gently curved decks. 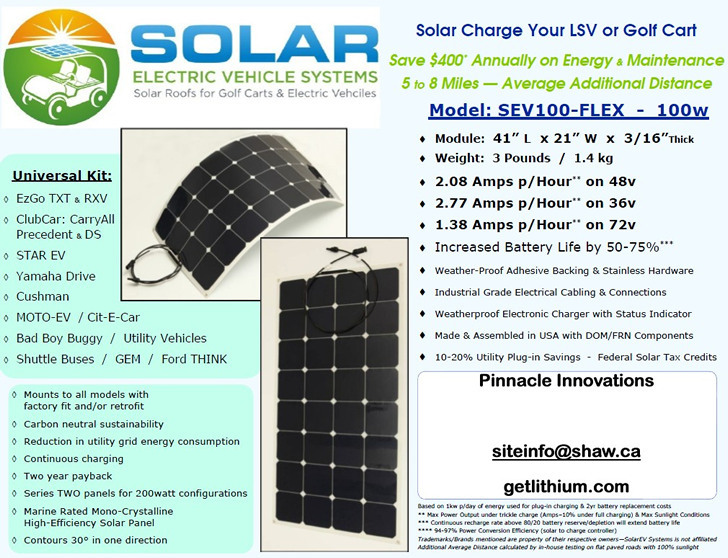 Our solar cells have the industry's highest conversion efficiency, providing maximum power while taking up less space on deck. 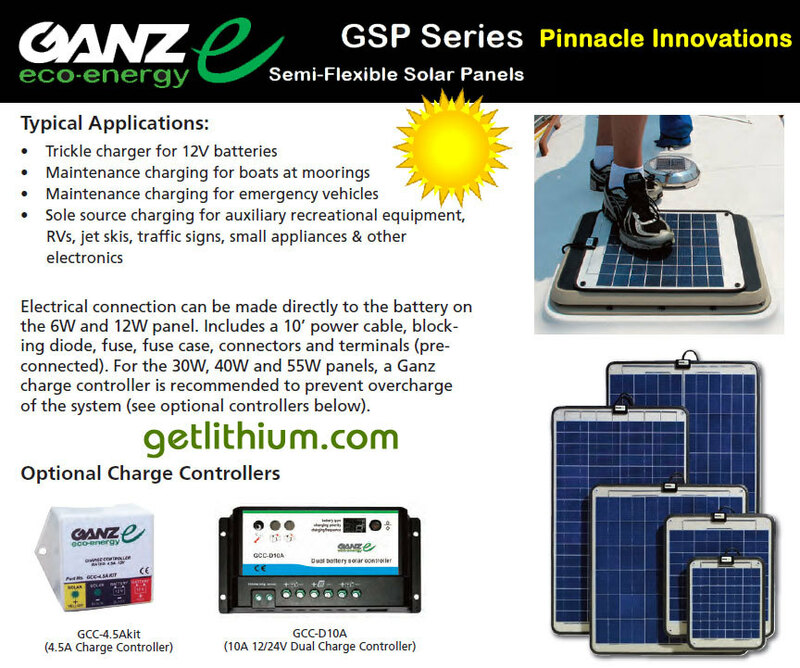 Each panel has 4 grommet finished holes for mounting along with 10' of outdoor rated power cable that connects directly to your battery or a charge controller. 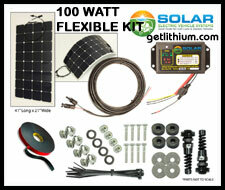 Excellent source to trickle charge 12V batteries and other electrical devices. 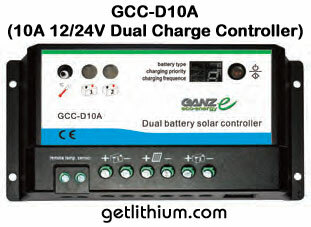 Electrical connection can be made directly to the battery on the 6W and 12W panel. 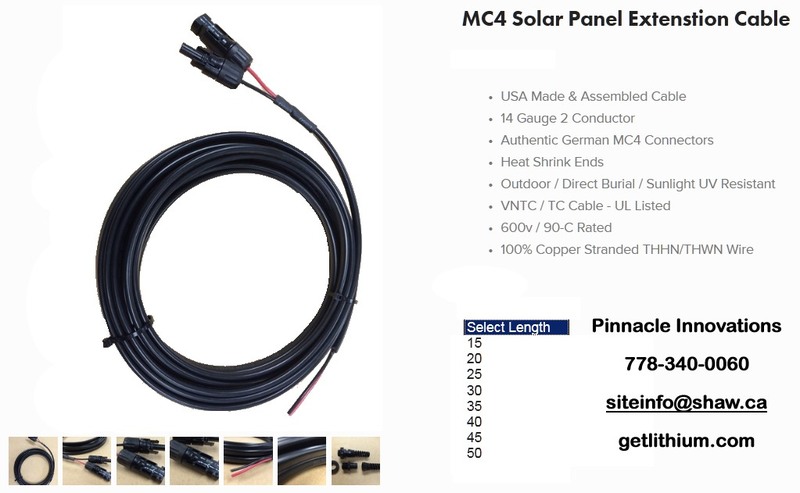 Includes a 10' power cable, blocking diode, fuse, fuse case, connectors and terminals (preconnected). 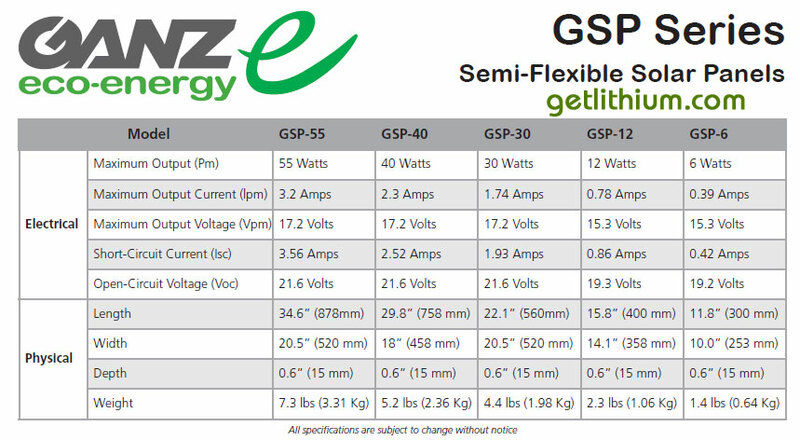 For the 30W, 40W and 55W panels, a Ganz charge controller is recommended to prevent overcharge of the system (see optional controllers below). 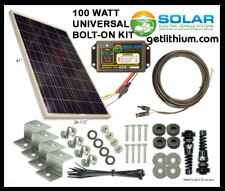 We are proud to offer US-Made Solar Panels and Solar Charge Controllers by Solar EV and Helios Solar Power. 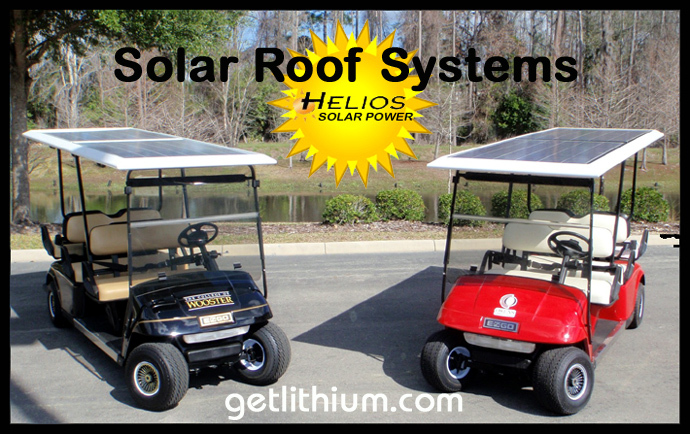 Extend the range of your Golf Cart from 3 to 7 miles or simply set up an economical, trouble free charging system. 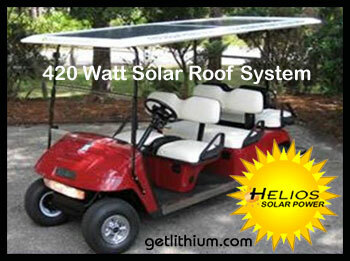 Great for Community Low Speed Vehicles too! Increase your battery life and adopt "Green" practices! or click on the image below to Email Us. Solar EV/ Helios Solar Power Solar Panel Systems for Electric Golf Carts, LSV's (Low Speed Vehicles/ Neighborhood Vehicles), Recreational Vehicles, Vanc Conversions, Yachts and Sailboatsfor sale Internationally and across Canada including Toronto, Montreal, Calgary, Ottawa, Edmonton, Mississauga, Winnipeg, Vancouver, Brampton, Hamilton, Quebec City, Surrey, Langley, Laval, Halifax, London, Markham, Vaughan, Gatineau, Longeil, Burnaby, Saskatoon, Kitchener, Windsor, Regina, Richmond, Richmond Hill, Oakville, Burlington, Sudbury, Sherbrooke, Oshawa, Barrie, Kingston, Cambridge, Coquitlam, Whitby, Guelph, Kelowna, Saanich, Victoria, Nanaimo, Thunder Bay, St. John's, Red Deer, Kamloops, Fort MacMurray, Fredericton, Grande Prairie, North Bay, Whistler, Prince George, Pickering, North Vancouver, Aurora, Shawinigan, Moncton, Saint John, Lethbridge & more. 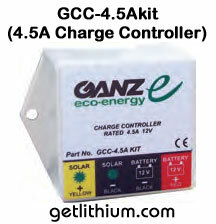 Copyright getlithium.com, Lithionics Battery and Respective Copyright Holders 2014. All rights reserved.